We stare at soil and wait. We sink our fingers into the moist ground and bury seeds. We plant flowers and watch the first butterflies drink their nectar. 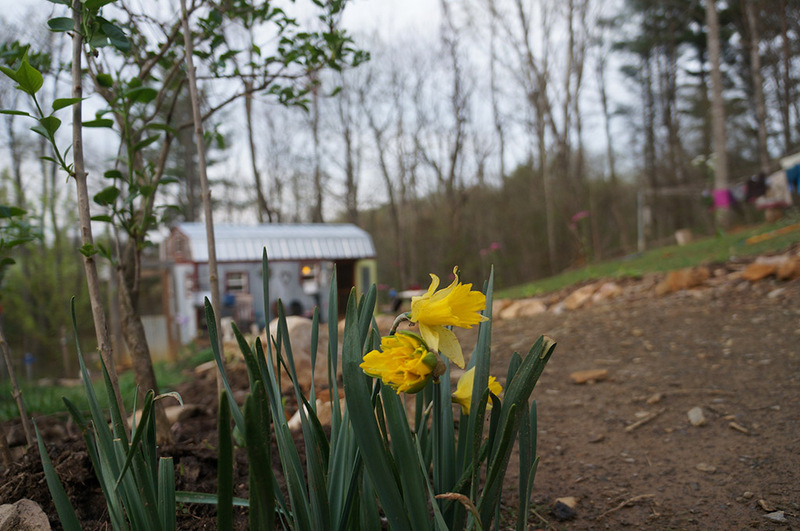 We watch the fruit trees bloom and with the rest of the county, fear this season’s crop might be lost by a late hard freeze. We’ll know soon enough. We’ve lived this life through the cycle of the seasons for three years now. It’s our slow and steady mortgage-freedom walk. People ask us all the time–when do you think you’ll move into the big house? We’ve said, “In about a year.” for two years. Now I say, “I don’t know.” And that’s okay. It’s good to stay longer than you think you can, to watch your children grow to take up more room than there really is. Because we realize just how much we can handle, and that even when there’s really no more room for anything, there’s room for joy. There’s room for a wild dance in the living room with the lights out, even though our arms hit each other as we swing them in time with the beat. It hurts a bit, and we’d dance more often with more room, but we still dance. But, man, I’m saving up some big moves for the big house. 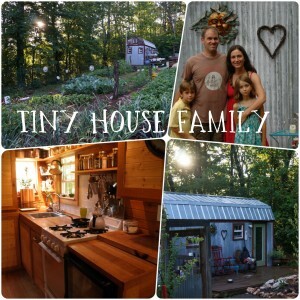 It’s funny sometimes some tiny house purists on some blogs will comment about how we’re doing it all wrong, that the tiny house movement isn’t about a stepping stone to something bigger, and that’s fine. It may not be for them. But for us, we’re growing bigger. Our home is growing with us, and when this little house just can’t contain us any longer, we’ll spread our arms and leap through the big house. But the tiny house won’t leave us. It will be part of our family, growing and changing with us. Maybe it will house our parents, or our friends, or bed and breakfast guests from around the world. It will continue to teach us how to live simply and together. 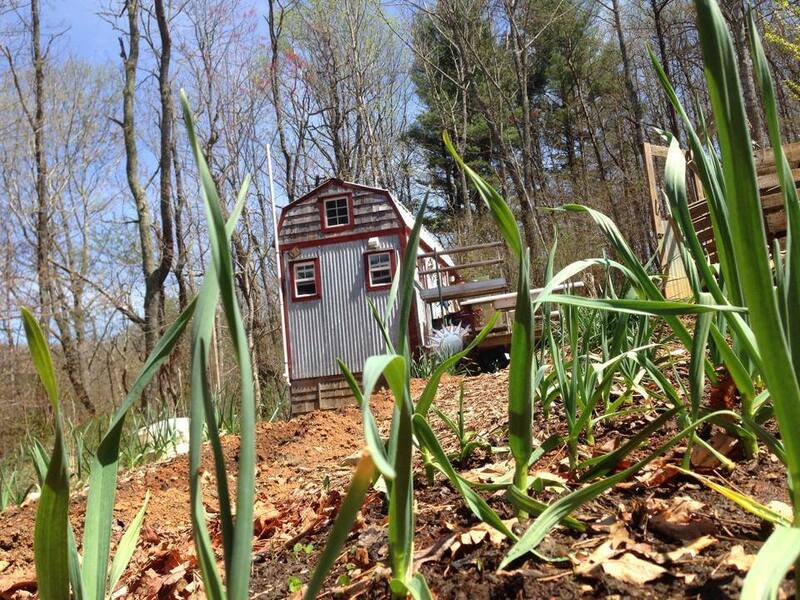 It will help us teach others that it is possible to contain giant things in small spaces and it will stand as the view from the big house reminding us always of the years we spent in 168 square feet, moving slowly and deliberately through the seasons. Glad spring is showing her lovely face in your garden! 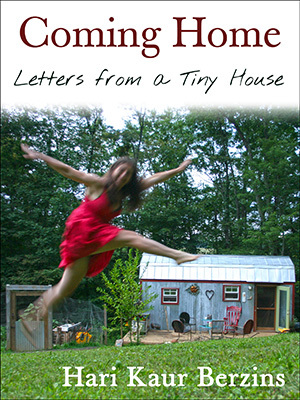 I love your writing and knowing that the Tiny House will always remain a part of you and your family. Your posts are wonderful and inspiring. I will never be at the spot you-all are but it is so good to read and see the pictures of your lives.